The solution is simple to create Character Map Desktop-Shortcut to insert a special character into a document in Windows 7 or 8.1, and Windows 10! See also: ... insert symbols from unicode character set in Facebook! (Image-1) Run e.g. Start Charmap in Windows-7 or 8.1! And now open the File Location Character Map (Full-Path of charmap.exe) via Windows-Task-Manager! (Image-2) Open Character Map (charmap.exe) full path in Windows! 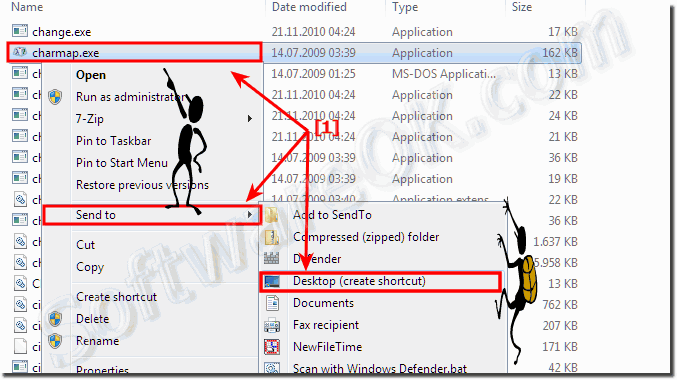 (Image-3) Create Character Map Windows 7 and 8.1 Desktop-Shortcut! A special character in Windows 7/10 or 8.1 is a character that can't be found on your keyboard. You can insert special characters by using Character Map or by pressing a combination of keys on your Windows keyboard. Unicode categories are used to group similar types of characters available in a font. In Windows 7/10 or 8.1 for example, the Currency Unicode category groups all of the currency symbols available for a font. 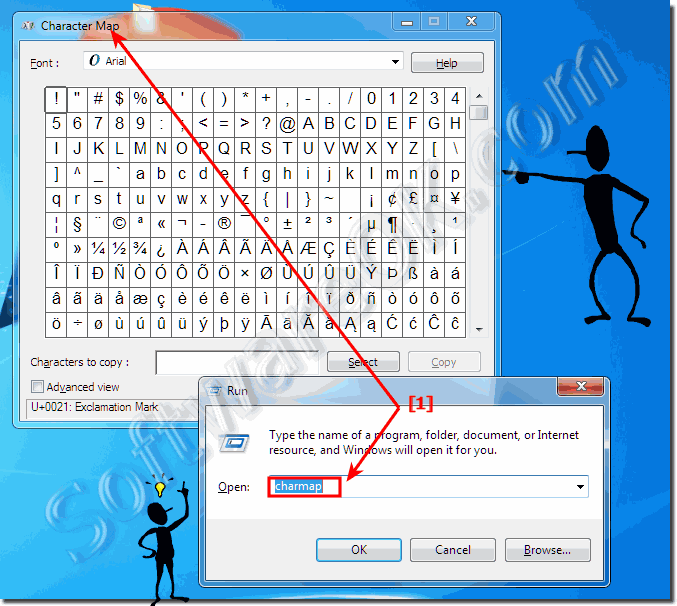 Windows-7 - FAQ-109: Create Character Map Windows 7 Desktop-Shortcut to insert a special character into a document?